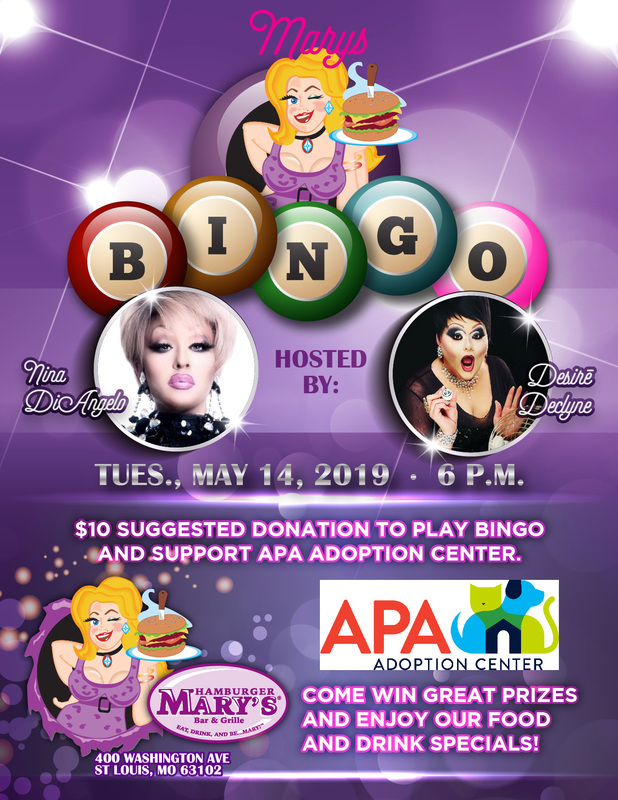 Hamburger Mary’s St Louis is hosting a bingo night to benefit the APA Adoption Center! Stop by for a night of fun, featuring drink and food specials and a chance to win some great prizes! There is $10 suggested donation to play bingo and the proceeds will benefit our adoptable pets.